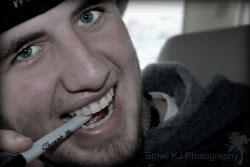 This site was created in memory of our son, Zachary Dylan Jones. 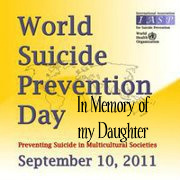 It is our hope to spread awareness & information for suicide prevention. If you or someone you know is considering suicide PLEASE call 911 or the National Suicide Prevention Lifeline at 1-800-273-8255 immediately! Guest Blogger: Family Struggles Lead to my Brother's Suicide. I'm 24 I lost my brother and best friend on June 12 this year, only a few hours after my husband and kids left his house. He was bullied our whole life by our dad and the last six years by our dad and girlfriend. The Friday before this Sunday our dads girlfriend tried to frame my brother for forgery because my dad wouldn't own up to giving him the check. My brother worked for my dad for three years before being fired and given that last paycheck. My dad says he doesn't remember because a few weeks before he got drunk and wrecked his motorcycle and suffered brain injury's but was checked out early from the rehab center by the girlfriend because it cost to much money and then didn't allow my brother to speak to our father and it got to where my dad wouldn't speak to me if she was around. 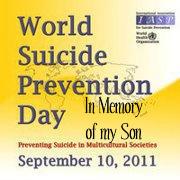 I cut off contact (with my father) and my brother took his life instead of doing the same. My brother left behind a daughter and tons of people who loved him. 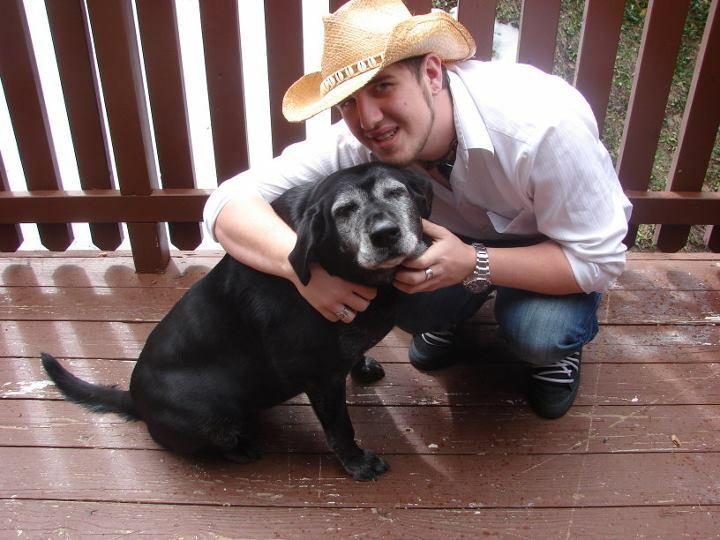 I never thought I'd bury my best friend on my 18th birthday. friends, school & activities, but promised to talk at least once a day. homework and hang out. Around dinner time, i get a call from Brandy! treasurer so i was super exited to hear how her day went. "Hey girl! my dad and said "she's gone". would she be doing? ", "WHY DID SHE LEAVE?!?!?" Brandy had demons larger than any one of us knew of. The sweetest things in life come to us through tears and pain. You're more important than you think you are. •Experiences of connectedness are important in the mental health and wellbeing of all people. 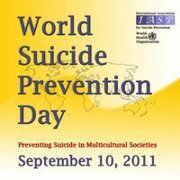 Thus, communities that are well integrated and cohesive may be suicide preventive. •Educating professionals of health and social services as well as communities in general about how to identify people at risk for suicide, encouraging those who need it to seek help, and providing them with needed and adequate help can reduce rates of suicide. These efforts require both cultural sensitivity and cultural competence. •Methods of suicide vary across cultural contexts, but restricting access to whatever means are commonly employed has been found to be effective in reducing the number of suicides (e.g. safe storage of firearms, pesticides and medicines; restricting access to bridges and high rise buildings commonly used as jumping sites). 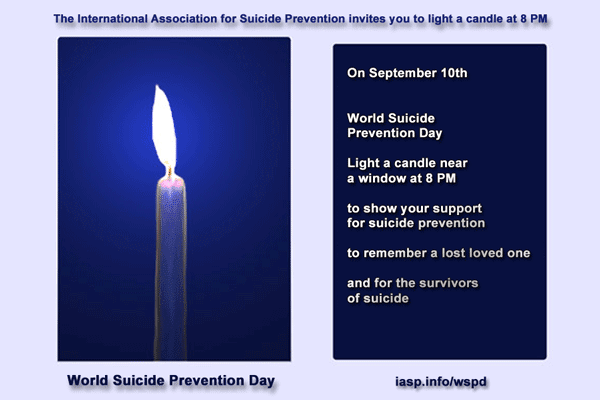 •Providing adequate support for people who are bereaved by suicide. •Lighting a candle, near a window, at 8 PM in support of: World Suicide Prevention Day, suicide prevention awareness, survivors of suicide and for the memory of loved lost ones. Please copy and save any of these banners to show support on your Facebook and Twitter Page. 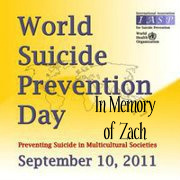 Zachary Dylan Jones left us on April 8th, 2011. Our hearts are broken and our lives are forever changed...the pain we feel runs deep, the tears don't dry. It is our hope that by sharing our story as well as the articles and resources we have found to be helpful in our lives will help someone else. Please know that we are NOT professional therapists or grief counselors! 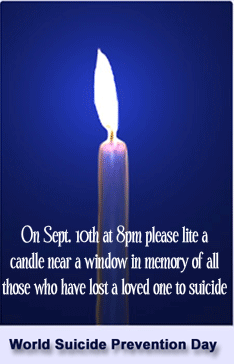 If you or someone you know is considering suicide, please call 911 and get help immediately! Share your stories & link resources with us on Facebook!